The White House is at it again. They are continuing to ride roughshod over the Press, limiting transparency and attempting to keep the public from knowing what their elected officials are doing. 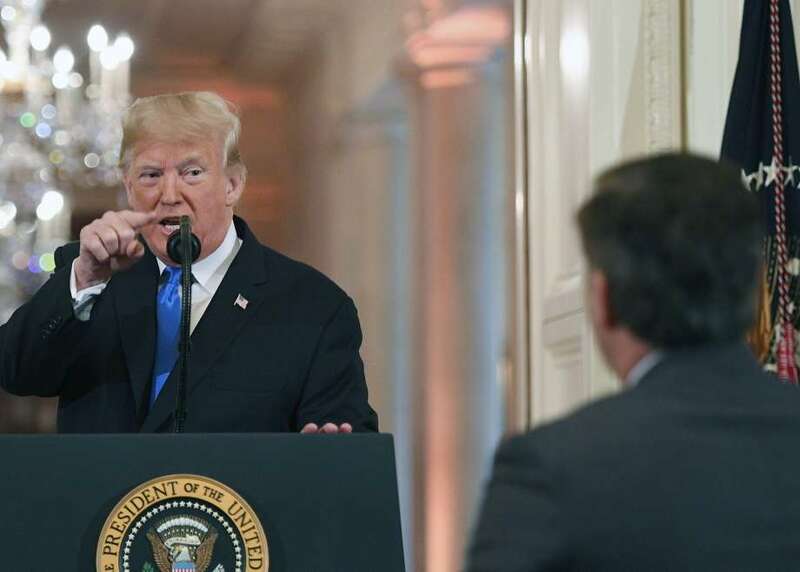 The warning issued to Acosta is an apparent attempt to provide a paper trail of due process so they can revoke Acosta’s pass, or the pass of anyone else who violates the new rules The White House has said it will create. Last week a District Court found in favor of a CNN lawsuit on Fifth Amendment grounds because their reporter was not provided with due process. The court did not rule on the First Amendment grounds at that time. CNN filed filed an immediate response Friday asking the District Court for an emergency ruling on the matter. They are seeking another hearing on the preliminary injunction the week after the Thanksgiving holiday, according to a story posted by CNN. All presidents and public officials have fallen under tough questioning by the Press; it’s the only tool freedom of speech has over officials who would like to keep what they are doing hidden or do not like to be questioned. In fact, past presidents have defended the press, as did George W. Bush last year. And while Barack Obama used the Espionage Act to go after Whistleblowers who leaked information to the press, he never threatened the Press for publishing information and has since defended their right to publish. If the courts finds for the defendants, in this case the White House, it would severely limit the Press’s roll in holding the most powerful man in the world accountable. If he doesn’t like your questioning, he uses new rules and regulations to throw you out, and before long the White House Press Corps might consist only of networks that support the president, like Fox News, Breitbart, Infowars and so on. At that point all news becomes propaganda and all news becomes fake news. Before the freedom of the press to report what government officials are doing becomes an illegal venture, the network chiefs and publishers need to put their heads together and consider boycotting the White House briefings. For it is better to not report when you choose to, rather than not report because you are not allowed to. Next But her emails! Should we lock her up?